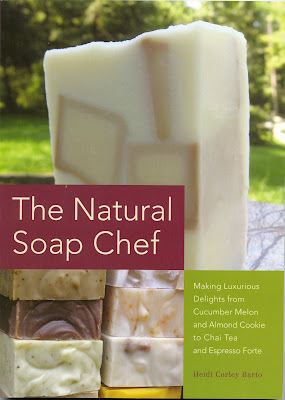 My giveaway contest this week features the newly published book "The Natural Soap Chef" by Heidi Corley Barto. Now I have never made soap myself but ever time I'm at the local Farmer's Market I gaze down at those wonderful bars of homemade soap and think "I could do that!" This is just the book to teach you how and if you already make your own soap I know the recipes in this book will perk your interest. and this one would make me feel I was back in Maui. 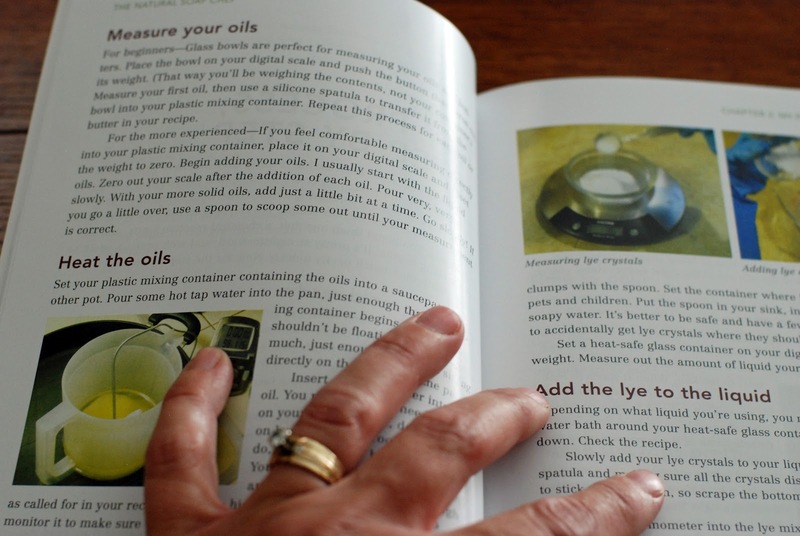 34 recipes in all with names like Ocean Rain, Pumpkin Spice, Cucumber Melon, Cranberry Pomegranate.....ok now I'm getting hungry! -"The Natural Soap Chef" is a soft cover, 6 1/2X 9 with 120 pages. All entries must be in by 11:59 pm Thursday July 12th/12 and the random draw will be made on Friday July 13th/12. Canadian and USA residents only. This Giveaway copy is provided by Beth Cook Publicity. I have never tried to make soap before but when I see those lovely names and soaps.... I should do so. But, unfortunately, I am not living in Canada or USA. I have to look on the internet for nice recipes. Everyone, living in Canada or USA, good luck in winning this adorable book. I have been wanting to get into soap making and this book looks excellant! I happen to be looking for a good soap recipe for my husband's burn scars on his legs. His skin is so dry, so we have to be very careful what we use. It has gotten expensive, so I have been looking for something to help. This would be a great resource, thank you for the giveaway! This looks like a very interesting book. 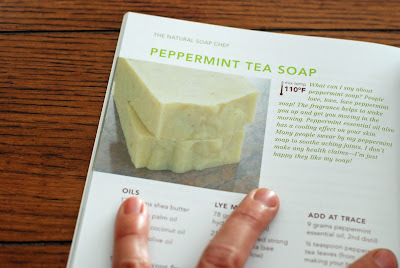 I have often thought of making soap just to make sure I know what is in our soap...all natural, etc. My husband has a lot of issues with different soaps due to the preservatives that are in store bought soaps. 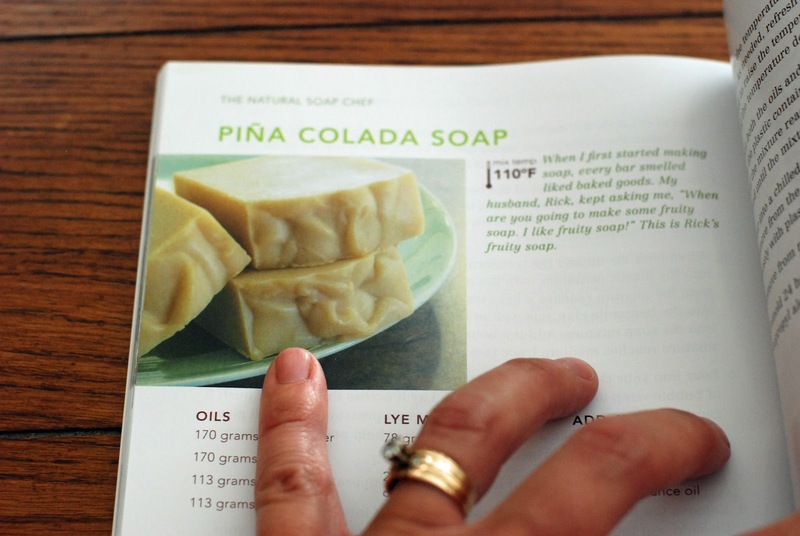 This looks like a fun book that would help me try making my own soap!! This looks like the perfect way to get started on some gift making for the holidays. The Guinness Stout soap sounds like the perfect fall birthday gift for my DH. This looka like a perfect book to help me get started on a new adventure. 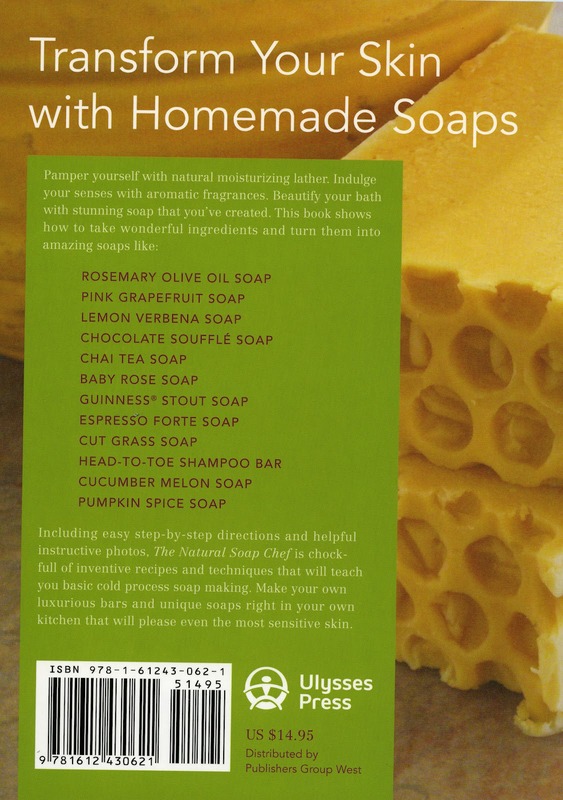 Would love to make my own soap! I would love to win this! It would be so awesome to learn a craft and an art that my grandmothers did and their mothers etc.!!! Fingers crossed and God Bless! Thank you for the chance to win!! Looks like a great book to try out with the grandchildren along with all the great ideas on your blog. Oh, that looks like a wonderful book!! This looks like a fabulous book! I'd love to try my hand at making that pina colada soap! Oh it looks fabulous! What wonderful photos too! Thanks! I have been wanting to make my own soap for years & recently decided that now is the time. I would LOVE to have a book to help walk me through it! Thanks for the opportunity to win. 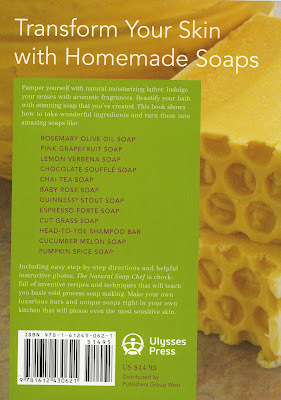 I made some soap years ago, and this inspires me to try it again! Looks like a great book. Thank you so much for this post. I want to let you know that I posted a link to your blog in Creative Busy Bee Craft Inspirations, under the Page 4 post on Aug. 30, 2012. Thanks again.